Fancy driving an MRT train. 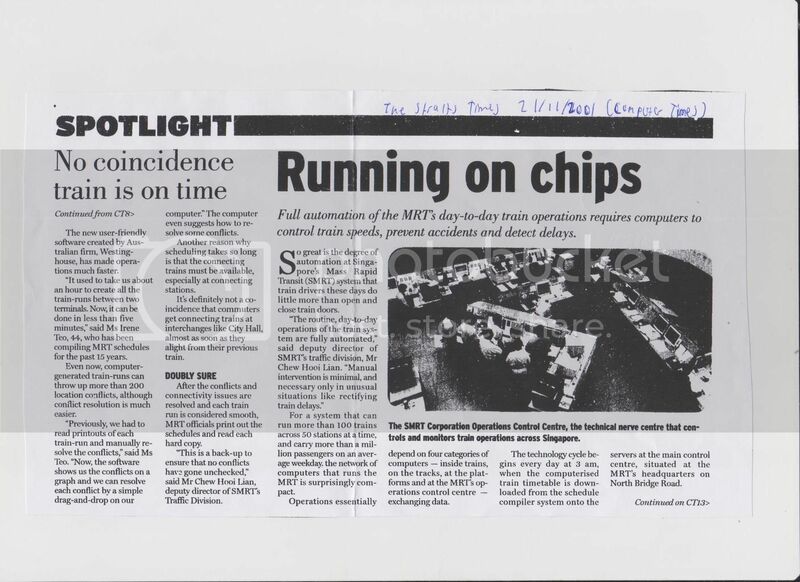 In 1982, MRTC did not include the present day Pasir Ris, Choa Chu Kang (known as "Bukit Panjang" in the modified plans in 1984) and Expo stations in the system map. There is also an additional station on the EWL: Delta MRT station, to be built between Tiong Bahru and Alexandra stations (Alexandra is today's Redhill). 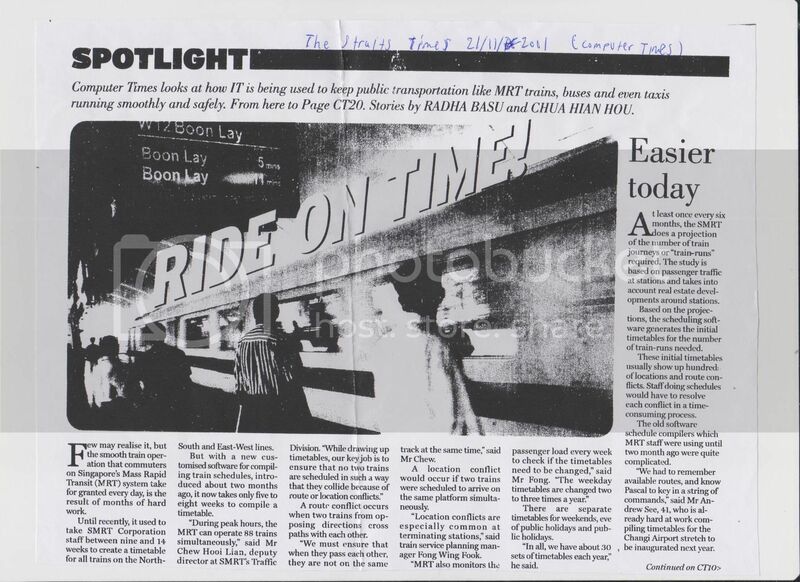 "Serangoon and Hougang may be next on MRT line"
Back in 1984 the MRTC (now LTA) had started planning for the NEL. A rough sketch of the NEL alignment is shown in this 1986 article. Among the details known was that the NEL was to comprise of the main line from Outram to Punggol and a spur from Hougang to Jalan Kayu. Also, MRTC planned to elevate a certain stretch of the line from Braddell Road onwards (presumably Potong Pasir). As you know the articles after 1990(2010 for TODAY newspaper) which not able access from home on internet. 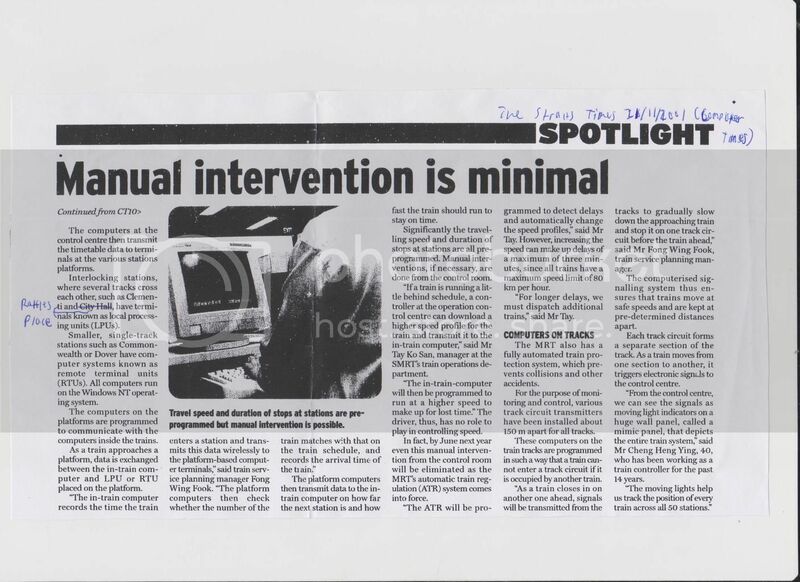 But i managed to photocopy this article. This article talking about the how IT makes the train scheduling easier which they using new customized software for compiled train schedule then. This was then Transport Minister announed Bukit Timah Line(now DTL2), original Eastern Region Line(now part of DTL3 and East Coast Section of TEL) and Jurong Region Line(planned as LRT then). "Proposed MRT: Central station at Clementi"
Back in initial plans, they originally planned the main depot at Clementi area. Current time: 24 April 2019, 08:19 AM Powered By MyBB, © 2002-2019 MyBB Group.